If you like Fresh Spring Rolls and a fan of Chef Penn Hongthong’s Yall Dip recipe, then you’ll be happy to know about her cooking show videos are available on Youtube channel. Simple Lao Cuisine is the name of her show. 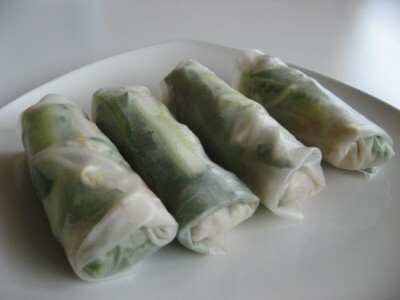 In this episode, she demonstrates how to make fresh spring rolls with chicken and bean sprouts and with shrimp and jicama, and honey peanut sauce to go with the rolls.